Belinda has come from a strong background in customer service and Real Estate. Belinda is always making sure her landlords and tenants are getting the best service they deserve, to her there is only excellent customer service. There are many reasons that people choose to work in Property Management. For Chris Dwan, it was simple; she wanted a career where she could work hard and achieve positive results for both her clients and herself. This has been Chris’ philosophy throughout her professional and private life. “Hard work gets results.” The first thing that you notice about Chris is her energy and enthusiasm. A passion for property and people alike combine to make Property Management the perfect industry for her. She has a warm personality, friendly manner and a sense of fun while her professionalism and sincerity are always evident. Chris brings a freshness and passion to her work, not a ‘formulaic’ approach. The journey to a career in Property Management has been varied for Chris, encompassing work in the rural sector, the mining industry, 12 years working within the Commercial Real Estate world and recently in residential Real Estate. Chris is goal focused, an outstanding planner, a great problem solver and highly determined. 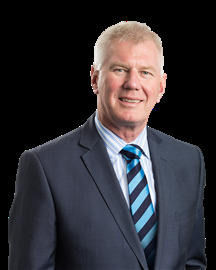 In addition, several years managing the Canterbury Tactix netball team meant Chris developed outstanding negotiation, time management, brokering and listening skills; working in Property Management is a natural progression. Hannah's experience in property management includes two years working in Melbourne before returning to Christchurch to take up her role with Orbit Property Management. Her professional positive attitude and committed focus guarantees Clients are happy with the best overall service. Hannah understands Clients have different expectations and need a property manager who has the skills to deliver on all aspects of managing their property. Her incisive ability to listen with empathy and open-mindedness provides all confidence and assurance Clients are getting the level of service essential to effective property management. Outside of work, Hannah spends time with her young daughter and being active outdoors enjoying a healthy lifestyle. Juliette is self-motivated and goal oriented in her role as a senior Business Development and Property Manager. Along with 10 years experience in customer service roles, her friendly personality and approachable manner make it comfortable for Juliette to relate to people from all walks of life. Having been both a landlord and tenant herself, she thoroughly understands both sides of the rental business. This knowledge provides valuable support service for Clients. As a Mandarin speaking property manager, she provides clearer and better cross-cultural communication understanding with the ever increasing Christchurch Asian Community. Away from work Juliette enjoys spending time hitting the gym, camping, discovering new places and spending time with her husband Lei and sons, Ethan and Emmett. 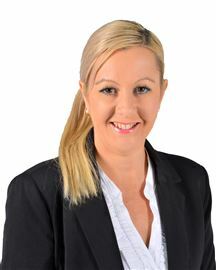 Sharyn has over two decades of experience delivering excellence in real estate and property management service. With a strong eye for detail, she keeps Clients thoroughly informed throughout the leasing and management process. Together with her honest straight forward communication style, Clients are always assured they are in experienced, competent hands. Sharon's in-depth all round knowledge combined with a positive caring professional manner, is the essence of her successful career. Her reputation for getting things done exemplify experience and competency. Outside of work, Sharyn is very active with yoga, playing Bridge, walking, family and gardening. Tina is an extremely experienced senior property manager with a successful real estate career in selling, renting and previously owning her own business. She holds the National Diploma in Real Estate and AREINZ qualifications. She is passionate and committed to the business needs of Clients and specialises in bringing peace of mind through full service and delivery at all times. Her high standards work ethic, engaging communication skills and a strong policy of no room for error proves robust problem solving is crucial to the success of effective property management. Outside work, Tina enjoys a good happy hour with friends, the sounds of a great music playlist and quality time with her children and family. Claudia is a key member of the dynamic Orbit Property Management team in her front desk reception role. Her organisational skills combined with a friendly, helpful and respectful attitude towards Clients ensures seamless business service in any situation. She is fully committed to providing a positive experience for anyone contacting Orbit PM for assistance. Outside work Claudia enjoys family and friends time, shopping, road trips, planning holidays and summers. Lyn is a highly efficient qualified accountant who manages financial accounting for Orbit Property Management. Her astute depth of knowledge and understanding of effective real estate and property business management guarantees all detail is understood and delivered to the highest level of professional service. With her skills and expertise, Clients are assured they have made the right decision to place their property in trusting hands. Outside of the office, Lyn enjoys time with friends, her garden, house renovations, reading and travel. Yvetti has over seven years experience working in both real estate and property management with a comprehensive understanding of both businesses. Her exceptional attention to detail, methodical work practice and ability to understand complexities around property management distinguish her in providing clients with high level quality standards and service. Yvetti is a dedicated problem solver through her ability to listen, understand and resolve issues. She believes keeping Clients clearly informed is key to efficient business practice. Outside of the office, Yvetti enjoys quality time with family and friends, taking the dog for a walk, going to the movies and relaxing with a good book.